I think you could probably use thin gold thread, lightweight yarn, or embroidery floss and then shape it and ‘paint’ it with some white glue as another option. The white glue dries clear and makes my yarn ends hard (this is how I thread needles with my yarn ends) so I suspect you can also use the white glue to stiffen the halo. 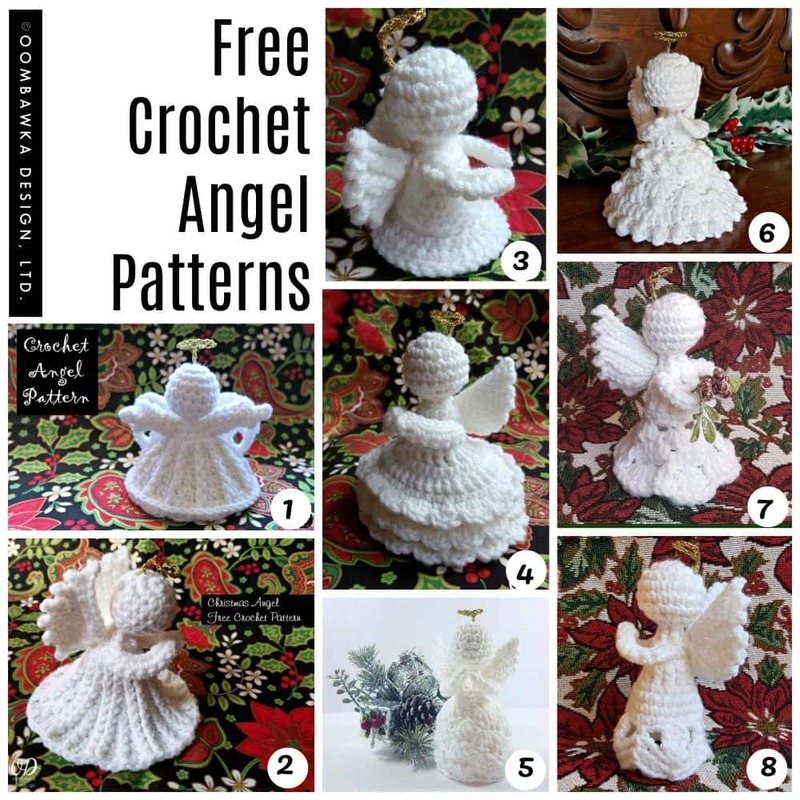 These Angels are perfect for many occasions and I have written the patterns to be as easy as possible to follow. I hope you enjoy crocheting them and if you are ever on Ravelry I’d love if you can add your project pages so I can see your finished projects too! I give your collection of angel patterns 5 stars, but i couldnt get it to click on. Thank you. 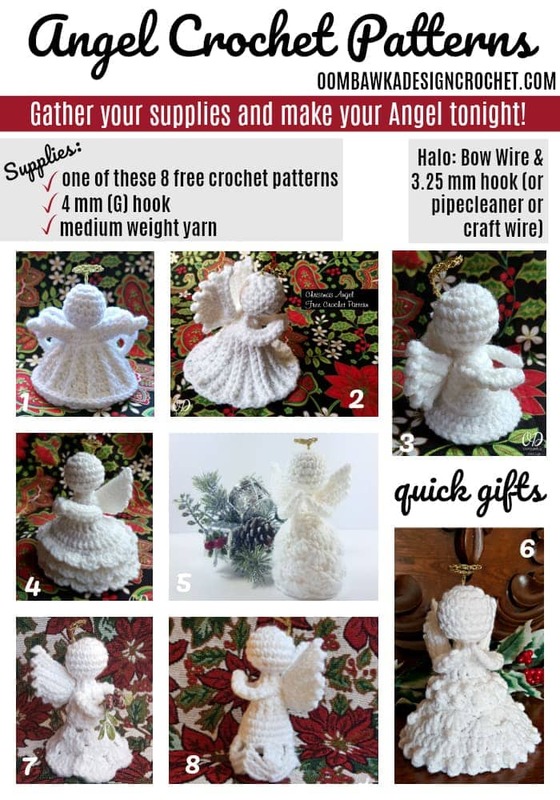 I love making angels. #9 was truly inspired. I’m looking forward to making the others. The wings were easy and the join at the end was a surprise. How did I not think of that one. Hey, Rhondda, I was wanting to make sure I haven’t missed any of your angel’s patterns. I have the 1-8 patterns then now this one. Have you had any more in between that I may have missed? I love your patterns.